The game is a must have game for any dedicated Rugby Union fan. With the best rugby teams and players in the French Leagues at your fingertips, “National Rugby Manager” gives you the chance to lead your team to glory and become the ultimate French rugby champions. National Rugby Manager utilises advanced artificial intelligence to bring to life the one of the most realistic 3D match engines ever seen in a sports management game. Our state of the art match engine gives the gamer unprecedented viewing control, with full 360 degree camera rotation, as well as zoom and tilt control. Re-watch the best try’s and bone crunching tackles through the action replays at the end of each match. The live interaction feature allows you to take full control of your team’s strategy on the fly by making crucial decisions depending on how the action unfolds. This includes directing play from rucks, kick-offs, set pieces and penalties. From a ruck, for example, you can choose to go to the backs on the left side if you spot an overlap, kick deep downfield if you spot the fullback out of position, or perhaps take a drop goal to win a tight match with time up on the clock. Or if you prefer you can also simply leave live interaction on its various automatic settings, which will result in the team making the key decisions themselves, based on your predefined strategic preferences. The live interaction feature allows you to take as much or as little control of managing the on field action as suits your style. Choose to watch the match unfold in either a 3D or 2D simulated match. Carefully plan upgrades to facilities like your Stadium and Training, to support your rise to the top of the League and cement your status as a French power house. Upgrading at the wrong time could spell disaster for your club. Create your own unique squads and strategies for the gruelling season ahead. Will you choose a forward based attack or a more attacking style of play? The choice is yours to make! Endless customisation of your squad, facilities, kits and initial funds lets you build your own unique team and stand out from the crowd. Tailor individual training routines to boost the player’s abilities and watch them rise to superstar status. 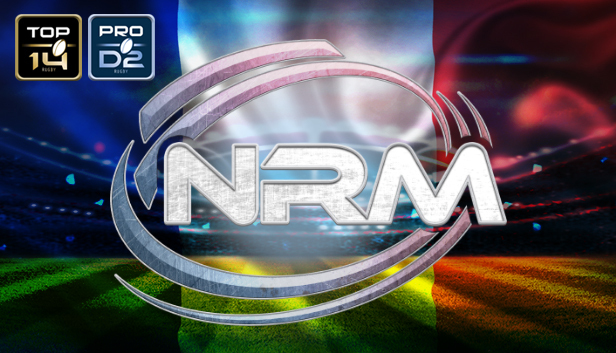 Create your own custom League or team and upload to our global database, so the whole National Rugby Manager community can play with your custom roster! There is absolutely no limit to the number of seasons you can play in National Rugby Manager.